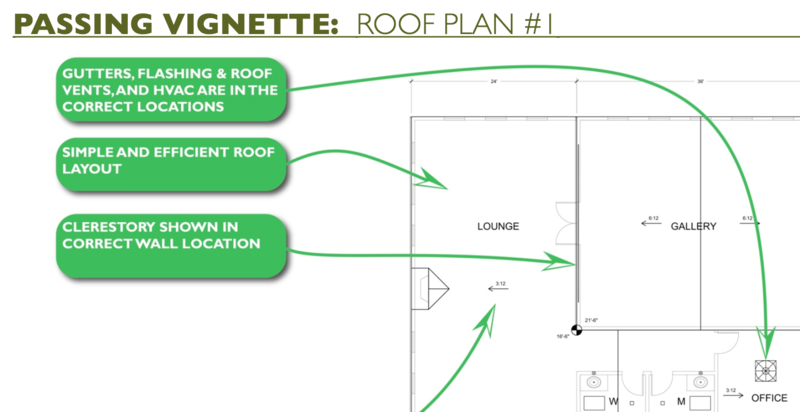 The final vignette for the Building Design & Construction Systems exam, administered by NCARB, is the Roof Layout vignette. 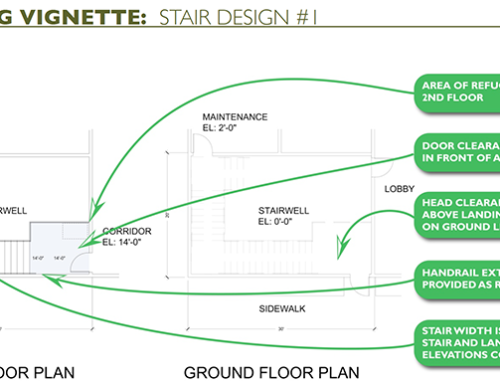 For this vignette, you will need to layout a roof plan showing all the elements required by the program. This vignette has quite a few elements to coordinate and manipulating the roof slopes can be a little confusing at first. Be sure to practice multiple times to make sure you are comfortable with how to use the NCARB software to satisfy the program requirements. 1. Follow the program. Record on repeat, I know, but that is because this is the absolute number one most critical tip for every vignette in the ARE series. Learn NCARB’s language and practice with the software and you should do well. 2. Drain the roof. Other than housing equipment for the building such as HVAC condensers and plumbing vent stacks, the most important role a roof plays is to drain water off the building. Make sure you set your roof slopes so that water does not pool around or between roof components. Pay attention to what direction the slope arrow on the roof is facing to know which direction the roof is sloping (the arrow points down the slope of the roof). 3. Collect & direct the water. Gutters and downspouts will be required in order to collect and direct the water as it drains from the roof. Make sure you place gutters in the correct location (hint: they should be located on the lowest edge of a sloping roof). 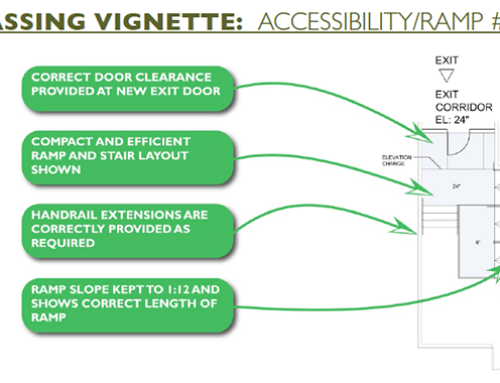 Also pay attention to the program for requirements regarding the placement of downspouts. In general, they should not be placed in front of doors or windows in plan. 4. Check the slope. There will be specific program requirements for the roof slope depending on what will be placed on the roof. The program will provide a minimum and/or maximum, however keep in mind you want your solution to be efficient, so make sure you meet the requirement but don’t got over it unnecessarily. 5. Place roof components. The final items to place in this vignette will be the roof top components, such as HVAC equipment and skylights if necessary. 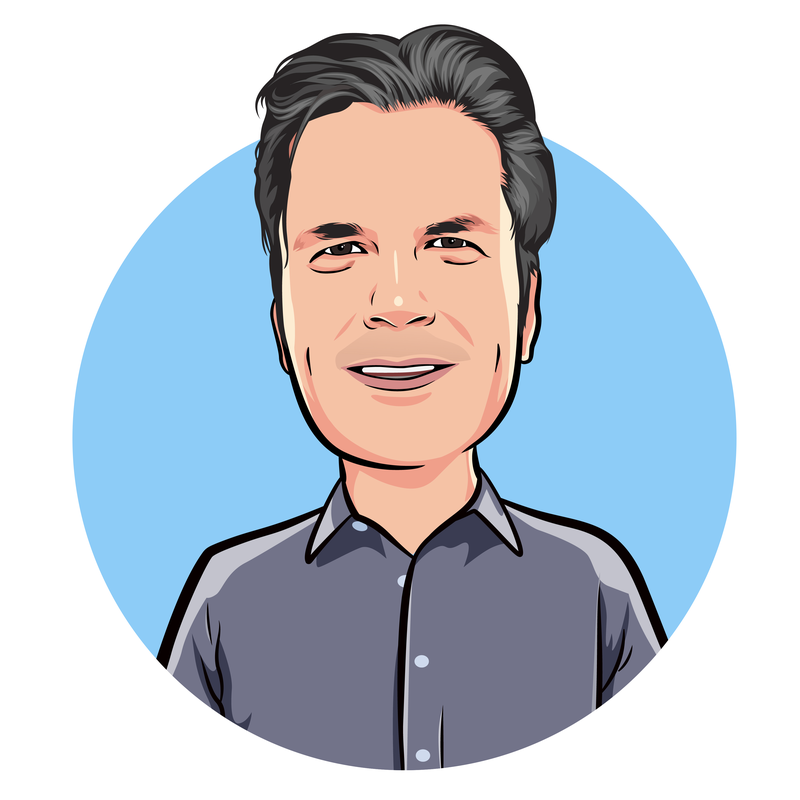 The program will direct you to where HVAC equipment should and shouldn’t be placed and which spaces will need skylights (generally these will be rooms that do not have exterior windows). By now you will have completed all three vignettes for the BDCS exam. Give yourself a big pat on the back, that was a lot to conquer all at once! This is the only exam that has three vignettes so you won’t face this kind of challenge again once you are past it. Like the other vignettes for BDCS, the simple and easy solution for the roof layout is generally the best. Address each program requirement directly and don’t try to overthink the problem. If you have never designed a roof plan before, some of these concepts may seem a bit strange to you. Try to imagine yourself as a drop of water, and you have to get off the roof while avoiding any obstacles in the way. Trace the edges of all roof elements and edges and see if you would drain positively towards a gutter. I find this visualization helps when designing actual roof plans too… it may sound kind of silly, but it actually helps a lot!